We will unleash the power of every student to change the world through the power of Jesus Christ! Click on any staff name to send them an email. Ms. Danielle’s passion for teaching young children inspires her to be very active in her classroom. She believes education is an action and her goal is to build an excitement for learning in her students. Her favorite part of teaching is seeing the “Ah-Ha!” moments in her student’s eyes and learning from them and their creativity. Ms. Danielle earned her degree in Applied Science from Akron University and is working on her AA from Columbus State Community College in Early Childhood Development. Mr. Bontempo facilitates art and creation in the Maker Spaces at GCA where possibilities are endless and students are encouraged to think differently and take risks. Students who thrive in his classes remain curious, discover everything for the first time and have a hunger for adventure! Mr. Bontempo earned a BA in Art and an MA in Art Education specializing in Art Theory and Contemporary Art Education from The Ohio State University and has 13 years of experience teaching and designing Maker Spaces. Mrs. Calabrese comes to GCA from a Christian Reggio-Emilia inspired school outside of New York City which inspired her student-centered and faith based approach to education. She believes each child is uniquely gifted and empowers children to explore their passions, curiosities, and interests to become lifelong learners and world changers. Mrs. Calabrese has several years of experience teaching students at different levels and holds a BA from the University of Kentucky and a teaching certificate from Ashland University with an emphasis in Language Arts. Ms. Chapman is beginning her 4th year of teaching elementary students and has always taught in schools where English was a second language to most of her students. She motivates her students to guide their learning and focuses lessons on developing character, independence and perseverance in addition to the academic standards so that students are prepared for life after school. Ms. Chapman has a BS in Hearing, Speech and Language Sciences and a Minor in Psychology from Ohio University and her teaching license from Notre Dame College. Ms. Stephanie is a graduate of GCA and has over 20 years of experience in childcare. She provides stimulating activities for our youngest learners to develop them emotionally, physically and intellectually. She loves each of the children in her room with the love of Jesus and partners with parents to provide the very best care. When she’s not at GCA, she’s exploring and spending time with her husband and 3 kids in between their family trips to Disney World. Ms. Linda practices the Reggio-Emilia approach to early childhood education because it is founded in the belief that all children are uniquely gifted and created. She believes children are more receptive to learning when they know they are genuinely cared for first. She uses her creative talent and experience in the fashion industry to design engaging activities for the children in her classroom to create art, build structures, explore textures, light and more. Ms. Linda has a BS in Design from the University of Cincinnati and built a career in the fashion industry prior to joining GCA’s Reggio-Emilia Early Childhood Center. Dr. Domine came to GCA after a 30-year career in public education to follow the vision God gave her to prepare the next generation of world changing leaders. Imagine a world where the most prepared to work and lead are passionate disciples of Christ! She believes all students have the power to change the world; it’s our job as educators to help them develop skills like problem solving, creative thinking, collaboration and grit so that they are prepared for whatever God calls them to do! Dr. Domine has a BS in Special and Elementary Education from Kent State University, a MA in Education Administration from Ashland University, a Superintendent License from Ohio State University and a Doctorate in Education Policy and Leadership from Vanderbilt University. She has served many schools during her career including Olentangy Local Schools, Big Walnut Schools, New Albany Plains Local Schools, Houston City Schools and many in the Appalachian Region through her tenure at Batelle for Kids. Mr. D is an engaging instructional designer with over 40 years of science teaching experience. He encourages his students to explore the connection between science and Christianity and enjoys helping students become passionate about science and making decisions based on evidence. In addition to his BA in Life Science from Otterbein University and MA in Science Education from The Ohio State University, Mr. D has studied Underwater Robotics at Monterrey College, participated in the original astronomy research with the Kepler Space Telescope in the NASA/IPAC Teacher Archive Research Program, taught underwater robotics to 300 teachers and 1600 middle and high school students throughout China and is a current professor of Astronomy at Capital University. Mrs. G knew she would be a teacher at 5 years old. She believes in nurturing the whole child, spiritually, academically, physically and mentally so that every student can use their whole capacity to change the world. Mrs. G earned her BA in Education from Illinois State University after playing volleyball at Cedarville College for two years and has 20 years of experience teaching. Ms. Gia focuses her efforts on telling the stories of GCA’s students as they succeed, try new things and enjoy the journey. She enjoys giving students a platform to share their triumphs with the world and believes that they are all uniquely created to make a big splash in the world for Jesus. Ms. Gia has a BA in Public Policy Analysis and a Minor in Nonprofit Business from The Ohio State University and supported state office holders with their communication and campaigns prior to joining the education community in 2017. Mrs. Haugen has served the GCA community since 2010 and believes in the mission of GCA to build a generation of leaders that change the world with the love of Jesus. Prior to working at GCA she homeschooled her three boys through middle school and is proud that all three of her sons became valedictorians and graduated from GCA. Mrs. Haugen has a BA in Public Administration from Evangel University and has over 10 years of experience in corporate finance prior to joining GCA. Ms. Marsha started at GCA as a part-time aide 23 years ago and is now the Early Childhood Director. She believes that children should discover and learn through hands-on experiences, try new things and learn how to collaborate with their peers and teachers. Through Reggio-Emilia inspired environments and practices, the Early Childhood Center is providing exciting opportunities for our young learners to develop a love of learning. Ms. Marsha has an AA in Early Childhood Education from the Central Ohio Technical College. Mrs. Manko believes in the power of mentorship and building relationships with students. Her passion is working with teenagers as they discover their purpose, passion and what God may be calling them to do after high school. She lives by Micah 6:8, “He has shown you oh man what is good and what the Lord requires of you, but to love mercy and to do justly and to walk humbly with your God.” Mrs. Manko has a BA in Social Work and has her LSW. Mrs. Matt strives to create an environment for each of her students so that they can learn with joy and feel a sense of fulfillment as they grow. She joined GCA after years of teaching across the country and serving as a member of her local Board of Education because of the vision of GCA and its unique combination of innovation and faith-based education. She has experience teaching all levels of learners including the profoundly gifted. Mrs. Matt earned her BA in English from Williams College, MA in Education from George Washington University and has proudly served on the faculty of the National Cathedral School, GWU, Sacred Heart Academy, Cristo Rey High School, Church of the Resurrection and KIPP. Ms. Kay is an experienced early childhood teacher and is committed to loving our young learners with genuine love, care and kindness. She incorporates her personal hobbies of art journaling, paper art techniques and bird watching in her time with infants, toddlers and preschoolers at GCA. 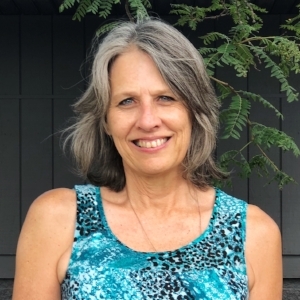 Ms. Kay earned her BS in Education with an emphasis on Food and Nutrition from the University of Akron and has over 20 years of experience in early childhood education. Mr. Muse believes that all students have the ability to achieve and make meaningful contributions to society if they are given the right tools and the means to act. He uses his faith and creativity as a maker and woodworker to mentor and counsel students through difficulties or struggles. Mr. Muse earned his BS in Youth Ministry and Bible from Johnson University in Tennessee and is pursuing his MA in School Counseling at the University of Dayton. He most recently worked at Educational Day Treatment Program The Buckeye Ranch in Columbus. Ms. Parsons is passionate about understanding how each student learns and desires to harness their individual curiosity to engage them in their learning journey. She supports the staff and teachers at GCA with compassion. She is also the proud mother of 7 children which she homeschooled prior to returning to education. Mrs. Parsons has a BS in Elementary Education from Miami University and has been a private tutor for over 20 years. Ms. Linda loves being part of her student’s first experiences with school, learning and socialization. She is humbled to play a role in building a foundation of learning in her young students and enjoys seeing the wonder and excitement in her students when they make new discoveries. One of her greatest joys is doing life with her student’s families and partnering with them on their student’s growth and development. Ms. Linda has a BS in Music Therapy from Slipper Rock University of Pennsylvania, was a stay-at-home mom for 10 years before coming to GCA 7 years ago. Mrs. Peck doesn’t just teach music to her students, she helps her students build leadership and teamwork in her classes and uses music to empower students and support their whole development. She enjoys igniting passions for music through performance and discovering new talents. As a worship leader herself, she will also incorporate worship into her classes as students grow in their faith journey. Mrs. Peck has a BS in Music Education from Ohio University and is completing her MA in Music from Austin Peay State University this December. Mrs. Phillips harnesses student creativity and natural curiosity in order to teach them that they can be the change the world needs today. She creates opportunities for her students to engage collaboratively, think for themselves and realize how together WE can make a difference for the greater good all in the name of Jesus Christ. Mrs. Phillips has a BA in Education from Bowling Green University and a MA in Education from North Central College in Illinois and has over 10 years of elementary teaching experience. Mrs. Schauermann’s favorite part of teaching is seeing the smiles on her student’s faces when they accomplish a task or achieve a goal in her classroom. She believes the Reggio-Emilia and inquiry-based approach to learning is providing an environment where she can walk alongside her students and help prepare them with the skills and experiences they need in order to be successful in life. Mrs. Schauermann is entering her 18th year of teaching and has a BA in Interdisciplinary Academic Studies with an emphasis in Reading and is certified in Early Childhood Education and to teach English as a second language. Ms. Shaffer believes everyone deserves the opportunity to become the best they can be and believes it’s her job to encourage them to always try harder and be their cheerleader along the way. She is passionate about connecting science and math to real world applications with her students and opening their eyes to the possibilities science and math create. Ms. Shaffer has a BA in Chemistry and Math and a MA in Education. Mrs. Simmons loves that GCA provides the opportunity for her to connect her years of experience in education with her love and passion for Jesus. She believes that all students can thrive while they learn if provided with the right environment and opportunities. She loves partnering with GCA students and parents to unleash student passions, develop disciples and discover gifts and talents. 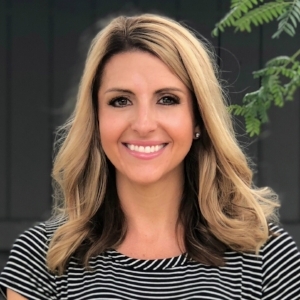 Mrs. Simmons earned her BA in Communications from the University of Dayton, MA in Education at Miami University and has her Ohio Principal and Mild to Moderate Intervention Specialist Licenses. Mrs. Thornton empowers her students to discover and dive into their God-given gifts, talents and passions. She builds lessons and projects that provide her students with opportunities to think differently about the world and themselves and take risks on big ideas! Her goal is to instill in each student a sense of purpose and passion to create a platform for success. Mrs. Thornton has a BA from The Ohio State University, has been teaching for over 25 years. Before becoming a teacher, she worked a Corporate Trainer to Fortune 500 companies and worked in the fashion industry as a style consultant. Ms. Becky creates an environment where all her students feel safe to explore, ask questions, make mistakes and learn from it. She encourages her students to always keep trying, believe in themselves and in who God has created them to be. Ms. Becky is a graduate of World Harvest Bible College and has been an early childhood teacher for over 15 years at GCA. Ms. Mary’s community of learners explore the importance of curiosity, the worth of creativity, and the empowering value of their voice. She is in constant pursuit of the best, research-based practices and strategies to help her students discover meaning through their work inside and outside of the classroom. She makes sure that her students are always reminded that Jesus has a unique plan for each of them to succeed and make their mark on the world. Mrs. Mary earned a BFA in Dance and with a specialization in Dance Education and a MA in Education from The Ohio State University and is entering her 5th year teaching. Mrs. Voshing is a healer, caregiver and nurturer of student physical and emotional health. She encourages all students to be the best version of themselves. Mrs. Young earned her BS in Nursing from Mount Carmel College of Nursing and a School Nursing License from Ashland University’s Dwight Schar College of Nursing and Health Sciences. She was a Neonatal Intensive Care nurse and worked within the Pulmonary Science and Infant Feeding Disorders Unit at Nationwide Children’s Hospital for 8 years.